Even though cattle drives have almost been entirely replaced by road and rail, and horses and covered wagons by pickup trucks, real, honest-to-goodness cowboys (and cowgirls) aren’t going away any time soon. They're still getting up before the sun even thinks about rising to knock out the day’s chores, care for their animals, and repair miles of fencing around whatever piece of the middle of nowhere they call home. The life of the cowboy persists despite most people’s assumption that it’s been relegated to western films. It endures because it’s not just a job that rewards a lot of hard work. It’s a guide for living that’s learned from an early age and seared into the psyche like the brand on a cow’s hide. The calling teaches cowboys how to be self-sufficient, hard working, and appreciative for the things they have, and the things they can do for others. Spiritually speaking, “good deal” might be an understatement. “It’s actually something I guess you’re born into,” says Mike Lemons, the program director of agriculture and horsemanship at Odessa College in Odessa, TX. “You fall in love with it and spend the rest of your life doing it.” Lemons grew up the cowboy way, learning alongside his father and other men who imparted the lessons of a vanishing world to him. It’s not uncommon to hear; cowboys and cowgirls grow up around horses and learn how to ride them at an early age, ultimately entering a career cutting cattle, or its sports equivalent in the rodeo. Lindy Burch first got the bug to pursue a life in training cutting horses -- the quarter horses that have been used since the mid-1800’s to separate and guide cattle on drives and ranches -- when she was barely a teenager. She went on to become one of the top National Cutting Horse Association riders in the country and continues to train and ride at her Oxbow Ranch in Weatherford, TX. Science and technology have crept into the lifestyle in many small ways, but all things being equal cowboys still prefer to minimize the reliance on modernity. Some ranches even still utilize the traditional cattle drive to move their cattle from place to place instead of expensive trucks and trains for transportation. Lemons says that driving cattle can actually be more beneficial for them. Telecommunications have made it easier for ranchers to share and educate, and that’s a development they’ve embraced. 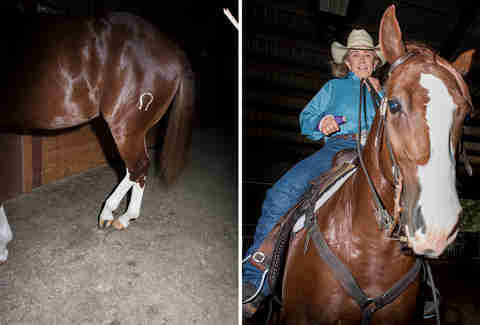 Barbra Schulte, a professional cutting horse trainer and author who trains cutting horses in Brenham, TX, grew up on her family’s ranch in Illinois, with 400-500 horses to keep her company. These days, internet and mobile keep her in touch with her colleagues. Of course, even with technological advances, some eschew phone alarms and note-taking apps. Lowrey's wife wakes him up every morning at the very early hour of 4:30 a.m. and he doesn’t finish his work until as late as 9 p.m. if he’s transporting horses or cattle to another city. He does daily checks on his herds of cattle with a simple tally book that he keeps in his pocket. 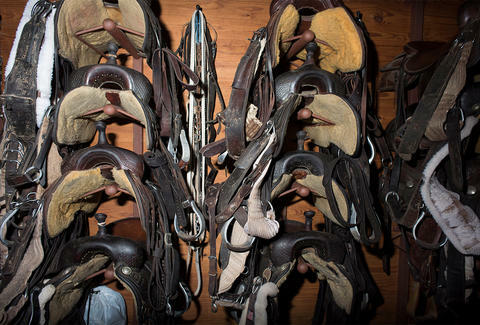 Burch and Schulte have two different routines for their cutting horses depending on the weather: one for the winter and one for the brutal Texas summer. Lowrey notes that though the solutions have improved in response time and efficacy, the same problems remain. For all the advancements in treatment, no technology for problems at the base level; all a cowboy can do is tend to his herd and try to keep them away from threats. "I just happened to step out in the driveway and I saw cows’ butts going the other way." “Every day when you get up, something different is gonna happen,” Lemons says. “You might even plan it and something else happens. For instance, we were building gates today […] and the boy who was helping me left the gate open. So we go back in the shop and work on something else and I just happened to step out in the driveway and I saw cows’ butts going the other way. So what keeps them on the ranch and the riding circuit, and living the life of the American cowboy? They have different reasons depending on what they do with their time but they all come back to their love for the lifestyle. "The cowboys up there are like another dad to you." Lemons wrote a book called the “Cowboy Philosophy” based on his experiences driving cattle across the Rio Grande with his father, and the wisdom he passes on to the next crop of cowfolks. That deep, intergenerational camaraderie is essential to keeping the tradition alive -- if it were left up to TV, every young cowboy would have taken on a profession centered around either law, or order. That mentorship can be formal as well. Lemons has a unique career combo of a traditional cowboy and a teacher. When he’s not in the classroom, or the “classroom” (as you’d expect, class is often held outdoors), he takes care of his own ranch and grows his own alfalfa and grass hay for his horses and cattle. He even builds his own riding gear. 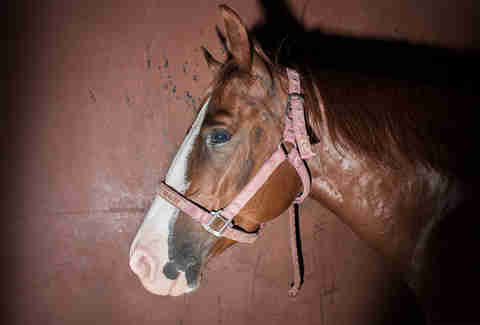 These days, Schulte trains eight to 10 horses at a time for show competitions and rodeo riders. 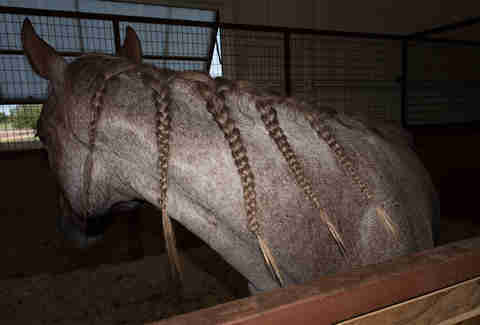 It takes a lot of work to keep horses in top condition, and many never make it to a competitive level. 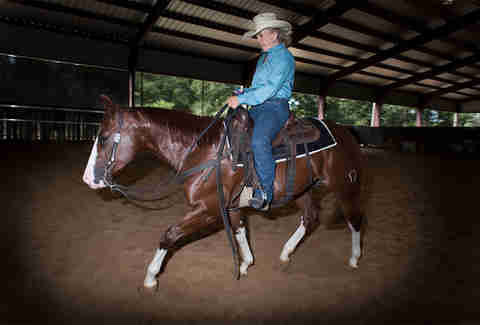 But for all its demands, Schulte cherishes the art of training horses (and their riders) to be the best they can be. Burch says being a cowgirl has taught her how to live her own life and take care of her own problems. The life also requires a particular spirit of determination and courage -- a drive to be the very best at something many people don’t even realize still exists. Danny Gallagher is a freelance writer who has written for places such as Cracked, Mental Floss, CNET, Esquire and Maxim. He has an unhealthy relationship with carbohydrates, Jameson's and the video game "Doom." He can be found on the web at www.dannygallagher.net and on Twitter @thisisdannyg.